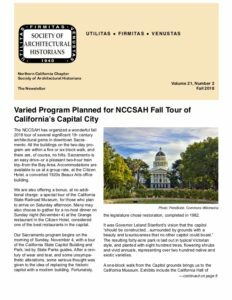 NCCSAH members enjoyed a visit to Sacramento over the first weekend of November 2018. For many in the group who may have been to the capital before, perhaps to lobby legislators on a preservation issue or to do research at the State Library, it was the first time focusing on the many and varied historic resources the capital has the offer. Most of the group stayed at the Citizen Hotel, placing us within easy walking distance of all the subjects on our itinerary. 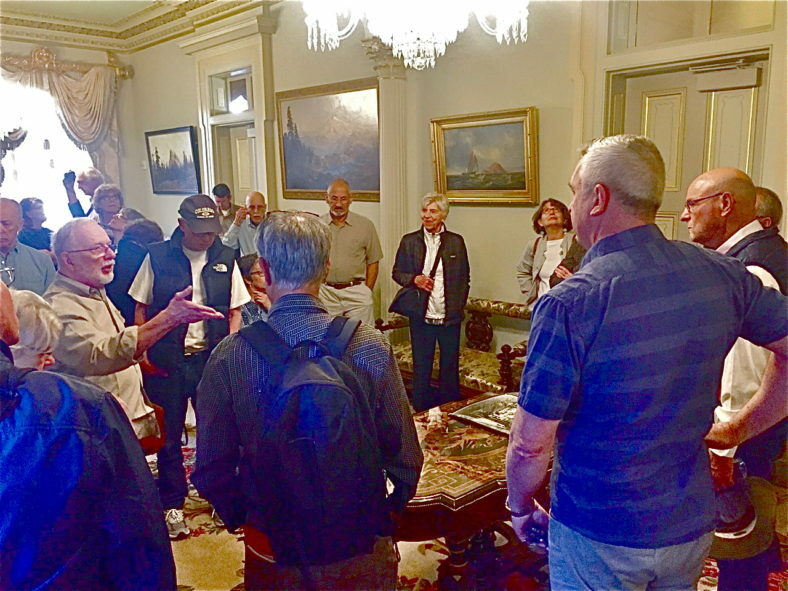 From the California Railroad Museum where our weekend began, to the 19th century Cathedral of the Blessed Sacrament, which was our final stop, expert guides provided lively and informative tours. As it happens, in the last fifteen or twenty years, a great deal of money and talent has gone into the rehabilitation and restoration of these resources, including the Capitol, the Stanley Mosk State Library and Courts Building, the Crocker Museum, and the Stanford Mansion. The Crocker combines a historic mansion with a fine collection of 19th century California art, as well as modern and contemporary works that are housed in a skillfully designed 2010 addition. The California Museum celebrates the state’s history and culture.